Steve McCarthy celebrated his 25th Anniversary as Club Professional at Lymm Golf Club last year. He turned professional in 1980 and was assistant here at Lymm between 1980 and 1984, he previously worked for the renowned club maker Terry Gilbert, worked for two years as a professional in Portugal and was the professional at Poulton park golf club for three years. Steve returned to Lymm as pro in 1991 - a year which saw him become the Manchester and District stroke play champion and in 2007 Steve was given the honour of becoming the Cheshire and North Wales P.G.A Captain. Steve has continued to provide a friendly informative and professional service to Lymm Golf Club by building a great rapport and relationship with both members and visitors alike. Steve is assisted in the Pro Shop by Paul Verrinder (better known as Fizz/er) who specialises in club repairs and custom fitting. 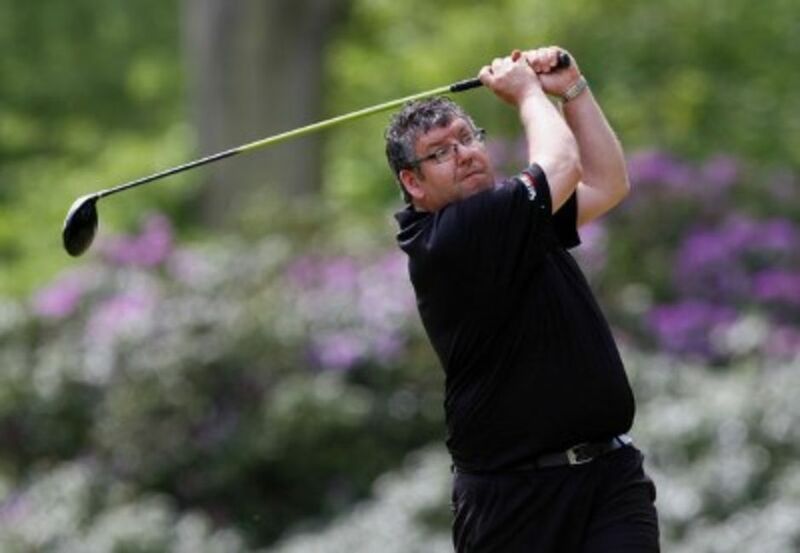 Paul’s previous experience was gained whilst working for several of the major golf equipment manufacturers. He has been with Lymm for over 20 years and can be relied on for his vast knowledge of golf club assembly and fitting. You can be assured of receiving a warm welcome and professional service from Steve and Fizz whatever your golfing needs!